Sign up for a free trial of Contour now! Complete the form below to receive access to the trial edition. 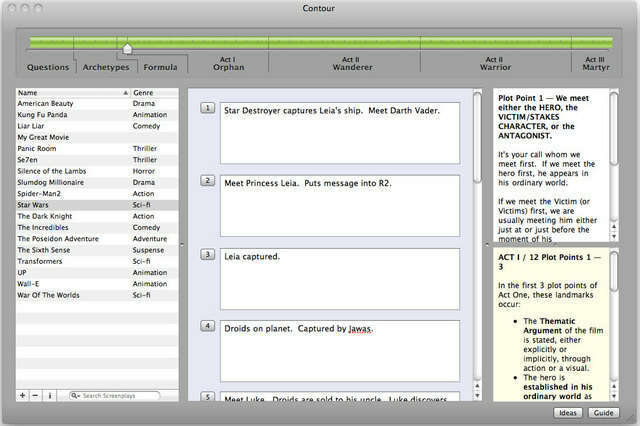 Contour is a proven story development writing software that streamlines the process of turning your movie ideas from first glimmer to full outline. 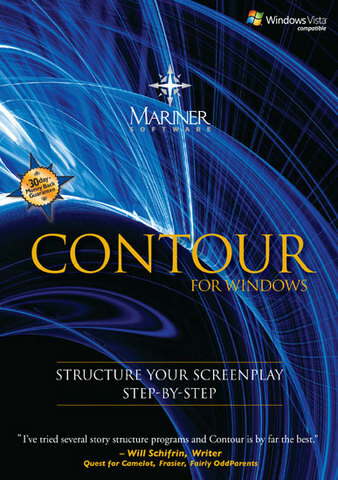 Using Contour software and its story development system created by Jeff Schechter, Emmy Award nominee and creator of TotallyWrite, you'll learn how to apply the same character-based structure that nearly all blockbuster movies use to create solid stories that hold together from Fade In to Fade Out. Wondering how Contour writing software can improve the way you write? Watch this short video and see it in action. With its intuitive, fill-in-the-blanks approach, Contour software shows you exactly what elements need to be in your script, never again leaving you to wonder, "what comes next?" 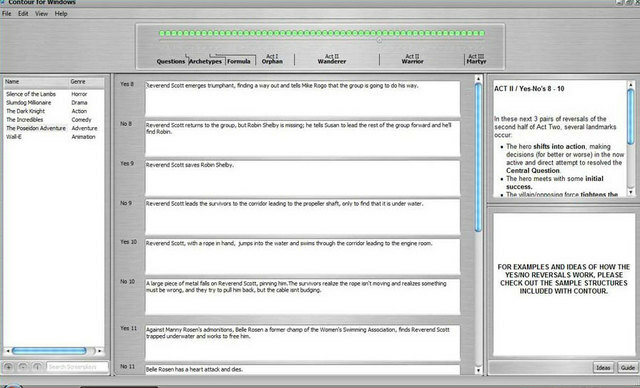 Use this story development writing software in conjunction with screenwriting software such as Final Draft, Montage, or Movie Magic Screenwriter, and write your best script! "Contour has an acute understanding of the kind of story structure that makes for successful movies. By analyzing blockbusters he extrapolates a story construction model that is surprisingly simple and universally applicable. And, best of all, it works." "Screenwriting is an art, and Contour conveys both the craft and soul of the trade. it's a gifted teacher, that provides methods which will help you both structure and elevate your best ideas." "I've tried several story structure programs and Contour is, by far, the best." 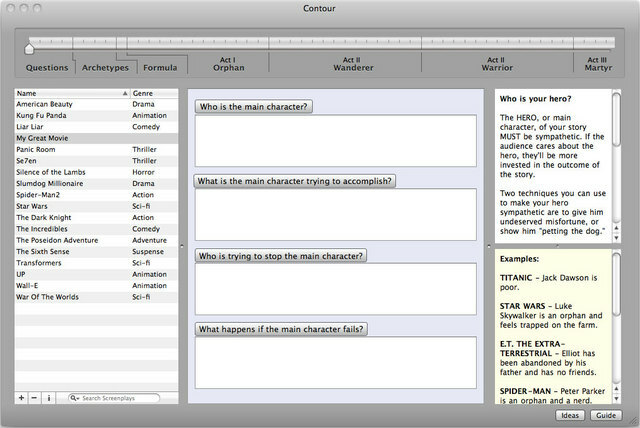 Contour enables you to develop a movie concept from the idea stage to a bulletproof outline. Along the way, this story development software guides you through plot points of all three acts and explains the major storytelling secrets to crafting a highly marketable movie. The main character's journey is explained through archetypal themes that reverberate in the top 50 grossing movies of all time. Identify the 4 archetypes every protagonist moves through from "fade in" to "fade out"
For many, it's much easier to understand the Contour system by following the breakdown of a successful movie opposed to one that is "under construction." 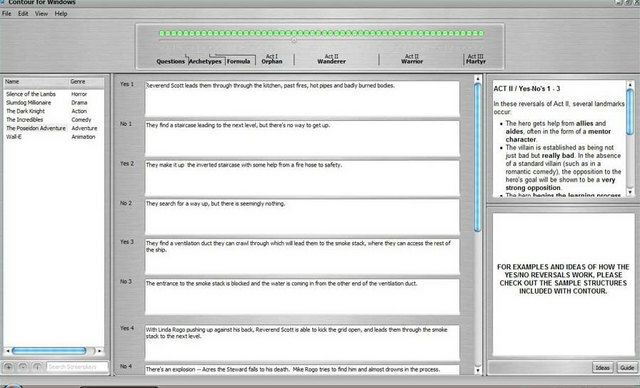 Contour writing software also includes several entire scripts from several successful blockbuster films, effectively dissected by the Contour system. Never face a blank screen again. 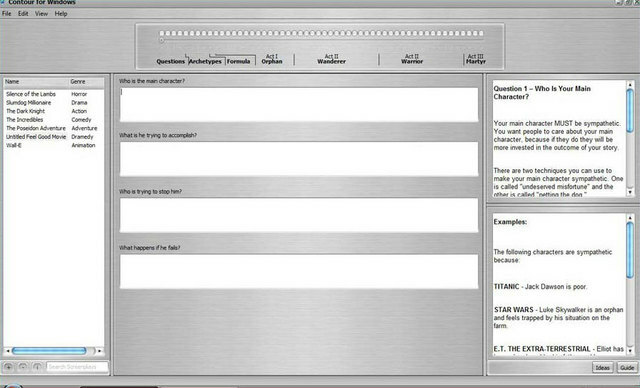 Use Contour story development software to conquer all your screenwriting fears! Windows: Win 8, 7, Windows Vista or Windows XP; Minimum 512MB RAM, 1GB recommended; 100MB free hard disk space. Mac: Mac OS X 10.5 or higher (including Leopard) Audio feature - Mac OS X 10.5 or higher QuickTime 7.3.1 or higher installed.